Heeyyyy!!! Did you know that The Block Shop is still open? Yup, 365 days a year it’s still pumping. Just because the recent season has ended doesn’t mean you have to stop shopping like block-star! There are pages and pages of goodies to choose from. Have you got your Christmas shopping sorted yet? Nahhh…. me either! I am a last minute kind of gal… BUT today I want to give you the chance to WIN a $200 voucher to use at The Block Shop. Kindly buy something for your loved ones (or keep it for yourself, yes I would too!). Ha. 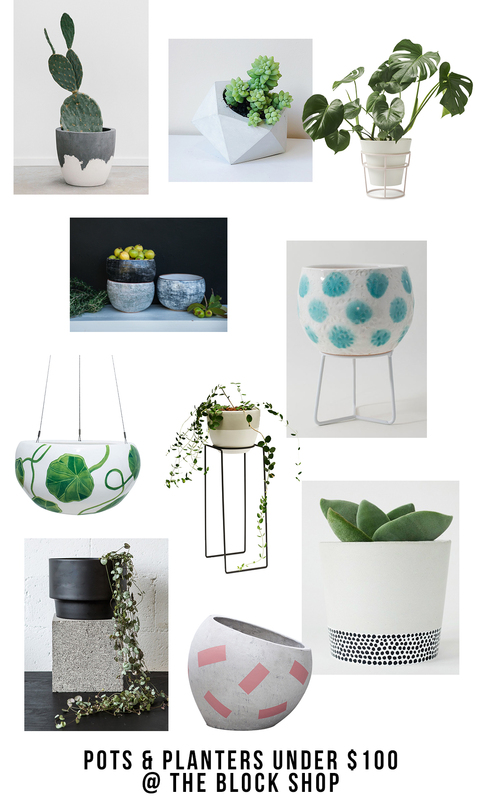 Take a look at these pots and plants under $100. You could get 2 or 3 of these babies with your $200 voucher. If you need some ideas on what to put in your pots go here. OR, tips on how to keep your indoor plants alive then this post might help! To enter the draw all you have to do is fill out the details below and you’re IN!